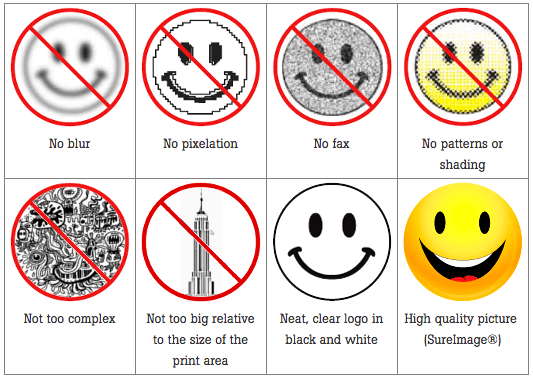 Please check the quality, size and visual complexity of the images you want to print. To make sure your text/logo is visible when the wristband is closed, we advise you to put your text/logo on the leftmost side of the printable area. Note that the dimension and position of the printable area vary according to the product.